Remember… we’re in this together! to worship. We value the importance of uniting and responding to God together. to transform. We value changed lives. We seek ways to become more like Jesus. to serve. We value serving each other, our community, and those around world. 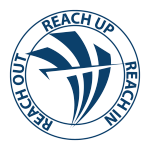 Receive regular email updates from Pastor Shaw and other ministries at Reach Chuch. We keep you in loop so you won't miss it out!